By God’s grace I am a Catholic; by His mercy I shall die one. I know that whilst the first is a pure gift, the second depends on my free and willing cooperation with grace, on my keeping the Faith, passing on what I myself have been given, fighting the good fight with a clear conscience and persevering in the Faith to the end  . This, of course, also applies to all of us. Since the Lord had to suffer many things before He entered into His glory  and St Paul could declare that it is necessary for us to pass “through many tribulations [before we] enter the kingdom of God”  , it should come as no surprise that the Church, who is not greater than her Master  , is not exempted from sufferings, afflictions and tribulations. The Church, throughout Her 2000 year history, has experienced tribulations both external and internal. Not only has She been buffeted by outright State persecution but She has also been lacerated by the great Christological heresies, wounded by the Protestant revolution and, finally in our own time, ravaged by Modernism, the synthesis of all heresies. Modernism attempts to replace the absolute and unchanging truths with statements that would correspond more with the lived experience of individuals, especially the emotional and sentimental experiences. 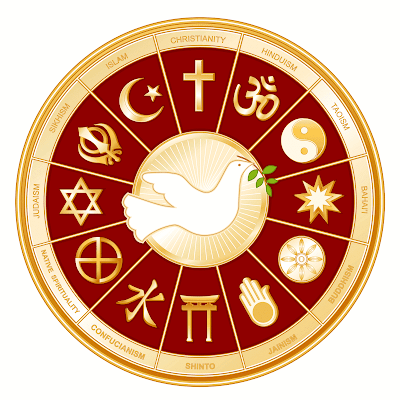 The Church has been defined  as the Mystical Body of Christ: an image found in St Paul’s letters to the Romans, Corinthians, Ephesians and Colossians  . This image succinctly expresses the union and the relationship that exists between each member of the Church with Christ and with each other. 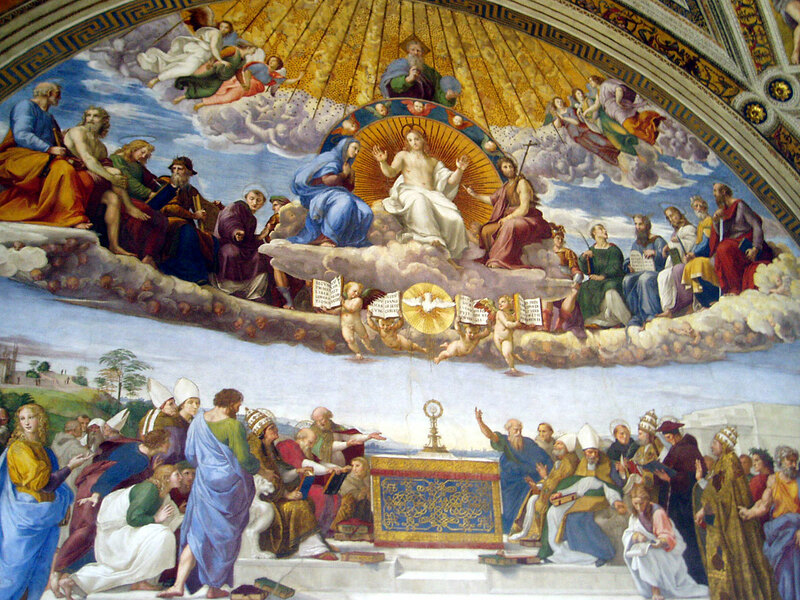 The mystics and the Church Herself have seen the parallel between Eve’s formation from Adam’s side whilst he was asleep  and the Church being formed from the pierced side of Christ whilst He slept the sleep of death on the Cross  . Christ called Himself the vine and His members the branches  . With this imagery, He would be the skeleton of the Mystical Body with its members being the various organs as St Paul asserts in the Letter to the Corinthians. Scripturally, bones are symbolic of imperishability since they remain even when, after death, the flesh has decayed. With this analogy, Arius’ denial of Christ’s divinity is equivalent to an attack on the skeleton of the Mystical Body, which would then, at best, be reduced to just another manmade religion. Although the conflict was long and bitter and many bishops faltered by succumbing to Arianism, the truth of Christ’s divinity and, with it, the indefectibility of the Church was establish by St Athanasius. 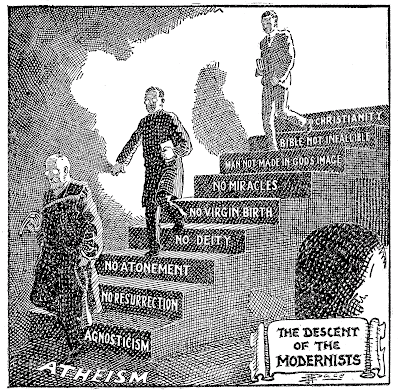 Modernism’s ultimate position is that the content of Church dogmas does not remain the same for all time but rather, it evolves over time changing not only in its expression but also in its substance. 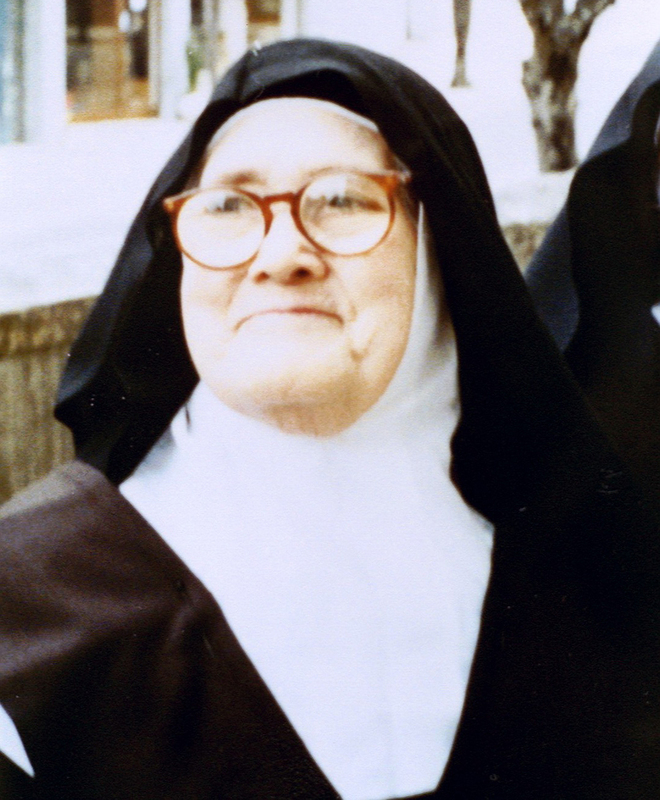 This postulate is responsible for Modernism’s uniqueness in the history of Church heresies. By definition, a heretic is someone who believes and teaches tenets at variance to what the Church believes  . This ordinarily would lead to excommunication from the Church. 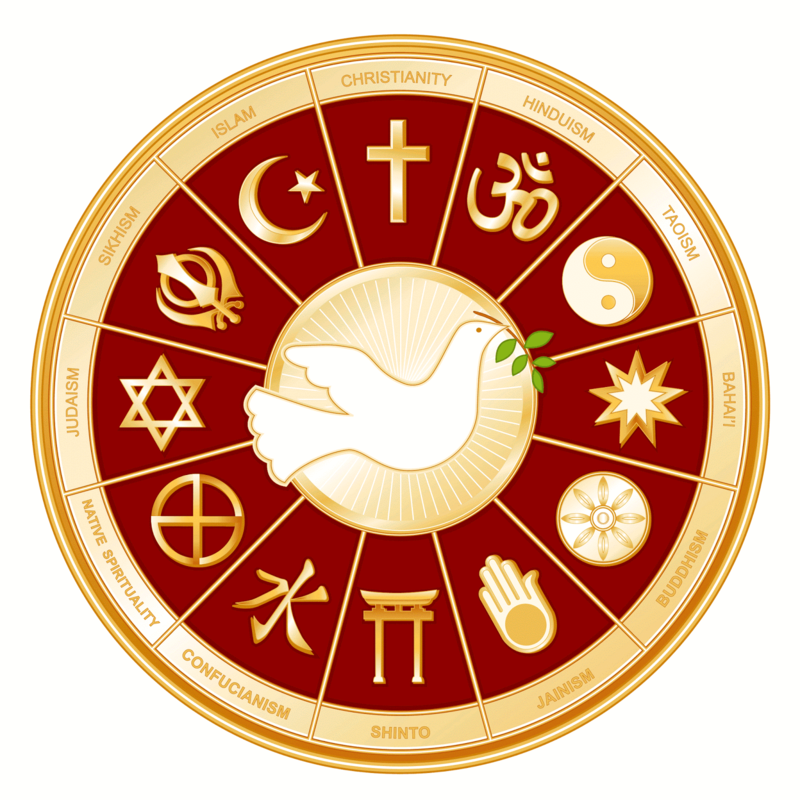 Using the new idea that doctrines evolve, it is now possible for the Modernist to accept both the traditional teachings of the Church and his new, seemingly contradictory teachings as being equally correct — each group having own its time and place. 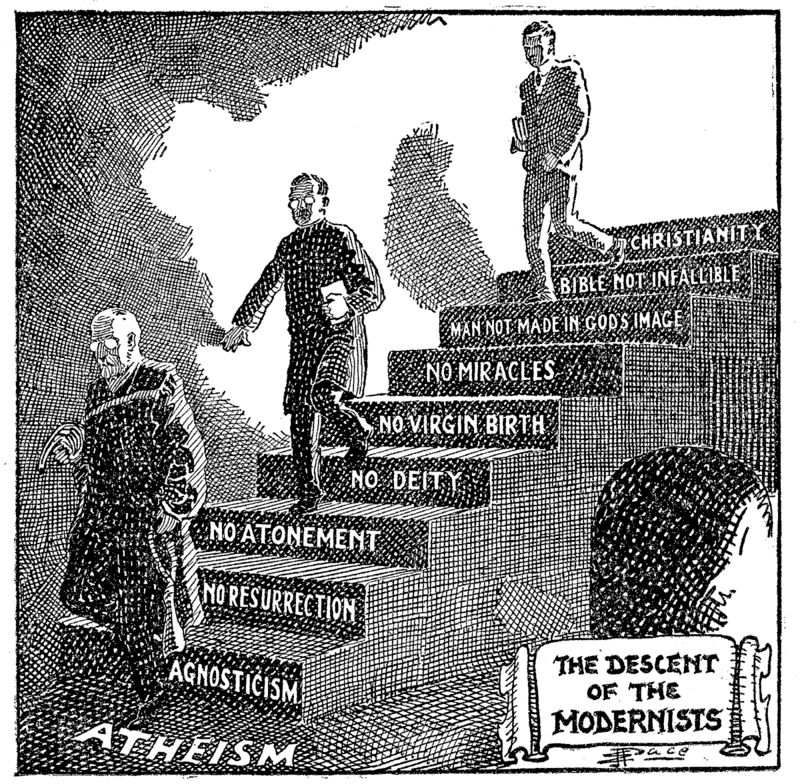 This system allows for almost any type of new belief which the Modernist in question might wish to introduce and, for this reason, Modernism was labelled by Pope Pius X as “the synthesis of all heresies”. In the Genesis, we read that “the Lord God took the man and put him in the Garden of Eden to till it and keep it.”  That is, God assigned Adam two tasks: first he was to cultivate the Garden and secondly, he was to guard it. His failure in the second task gave the serpent his opportunity. Christ entrusted to Simon Peter the visible leadership of the Church  with the double task of feeding and tending the flock  . That is, as a good shepherd, he was to guard, protect and preach the Faith to the flock and so keep them from error and deception  . Our Lord, at the Last Supper, warned Peter that the serpent was already watching and merely waiting for an opportunity to attack. 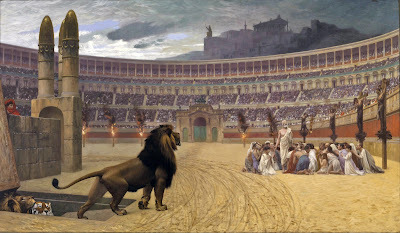 Specifically, with words expressing both what Satan desired and what God permitted, Christ said: “ Simon, Simon, behold, Satan demanded to have you, that he might sift you like wheat, but I have prayed for you that your faith may not fail; and when you have turned again, strengthen your brethren. ”  God permitted this trial for at least two reasons. First, that the Apostles might understand how weak they were of themselves and second that after their fall, they would rise again by His grace and would be cleansed and purified as sifted wheat. Peter’s fall was followed by his sincere repentance  and so, Christ not only granted mercy to him but also, confirmed Peter’s headship over the other Apostles and over the whole Church. 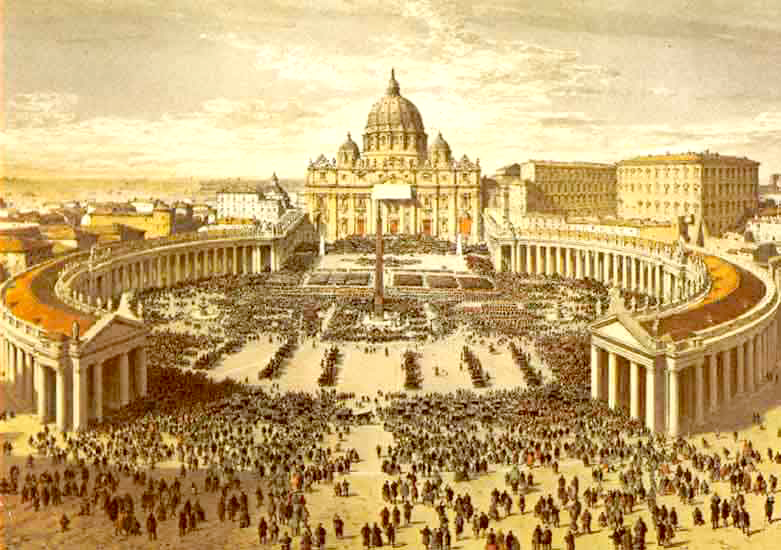 The slow development of Modernism, whose main tactic is the use of equivocation and confusion to spread lethal errors, was tracked by the popes of the 19 th century. 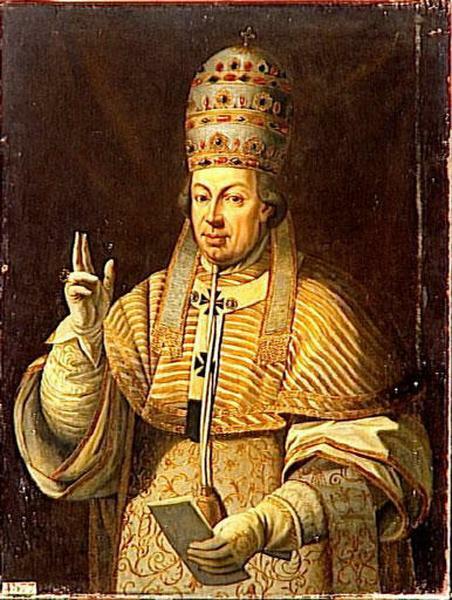 Thus, Pius VI lifts the mask of Modernism in his Bull Auctorem Fidei: In order not to shock the ears of Catholics, the innovators sought to hide the subtleties of their tortuous manoeuvres by the use of seemingly innocuous words such as would allow them to insinuate error into souls in the most gentle manner. Once the truth had been compromised, they could, by means of slight changes or additions in phraseology, distort the confession of the faith that is necessary for our salvation, and lead the faithful by subtle errors to their eternal damnation. This manner of dissimulating and lying is vicious, regardless of the circumstances under which it is used. For very good reasons it can never be tolerated in a synod of which the principal glory consists above all in teaching the truth with clarity and excluding all danger of error. ... It is a most reprehensible technique for the insinuation of doctrinal errors and one condemned long ago by our predecessor St. Celestine who found it used in the writings of Nestorius, bishop of Constantinople, [who] was exposed and confounded, for he expressed himself in a plethora of words, mixing true things with others that were obscure; mixing at times one with the other in such a way that he was also able to confess those things which were denied while at the same time possessing a basis for denying those very sentences which he confessed. There is no doubt that the Church is currently in a state of deep crisis, which has been brought to a head by the current Pontiff. As David’s accession to the throne was a blessing to the Israelites and that of Saul or Rehoboam  , Solomon’s son a punishment, so we can be certain that God has given each of Blessed Peter’s successors to the Church as the pope best suited for that time. Francis in undoubtedly a pope suited for our time in that he has, in three short years, opened the eyes of many to the diseases plaguing the Mystical Body of Christ. Without doubt, he is advancing ideas that provoke such disturbances within the Church that they would appear to be a very efficient way of separating sheep from goats. In stark contrast to the reception given to his predecessors, even his immediate predecessors, it is striking that the Church’s traditional enemies all applaud him, recognising him as their own  . In many ways, the current pontiff fits the caricature that non-Catholics have of the pope: an autocrat whose every word must be obeyed. 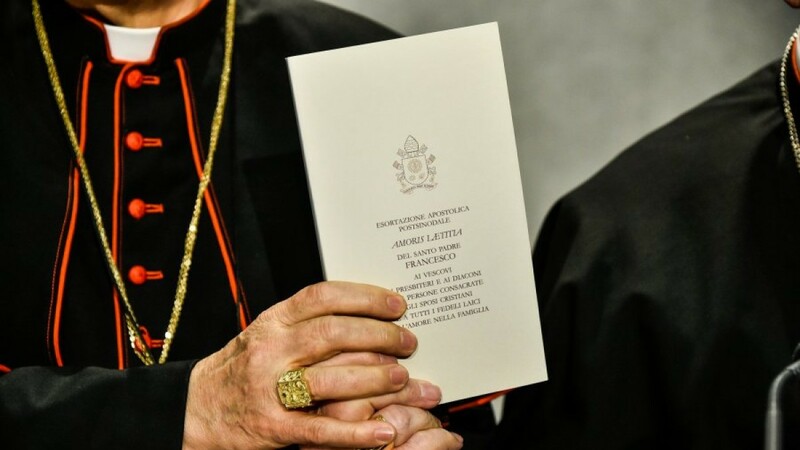 Indeed, his demand for compliance with his directives rings hollow when one considers his own violation of the Church’s liturgical laws as archbishop of Buenos Aires. For example, whilst he was archbishop, he included women in the ceremony of the washing of feet on Holy Thursday in infringement of clear liturgical laws. 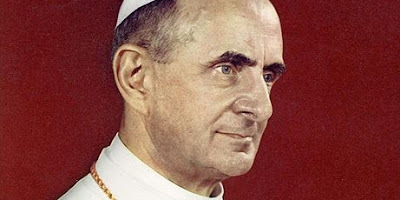 He also admitted to the sacraments, without amendment of life  , remarried divorcees in outright violation of Canon Law, of the teachings of the Catechism of the Catholic Church, of the encyclical Veritatis Splendor of Pope St John Paul II and of documents issued by Roman dicasteries. We are living in duplicitous times. 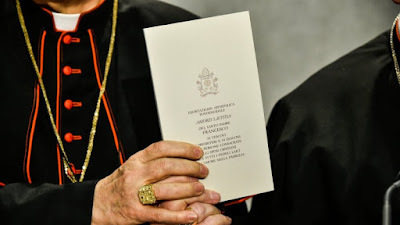 The post-synodal exhortation Amoris Laetitia is, to date, the greatest scandal of this pontificate as it contains key passages that are “ intentionally ambiguous, as proven by the multiple and contrasting interpretations and practical applications that they immediately received”  . For instance, certain paragraphs of chapter eight give the go-ahead for communion for the divorced and remarried. Although this is quite contrary to the Church’s clear immemorial teaching and practice, it was already being illicitly done when Pope Francis was archbishop of Buenos Aires. Even more troubling is the discovery that key passages of Amoris Laetitia were formulated some ten years ago by the then professor of theology, Victor Manuel Fernandez in articles, which gave a dissenting critique of Pope John Paul II’s encyclical Veritatis Splendor. The upshot is that the two Synods on the Family would appear to be a farce designed to produce pre-determined results. 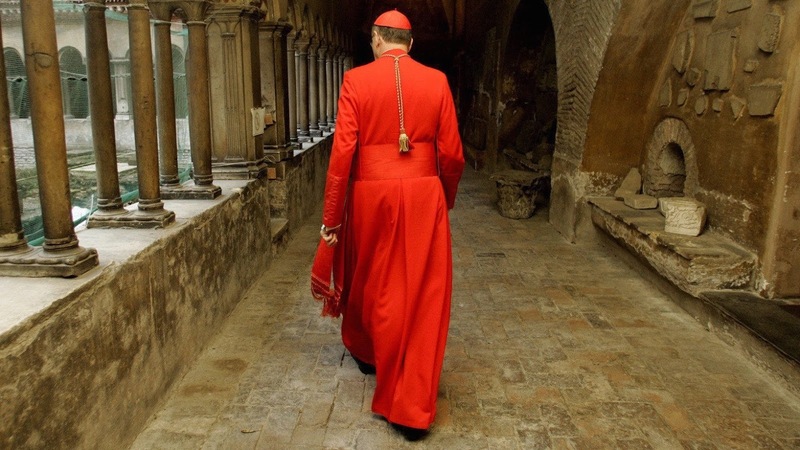 According to this same Fernandez who is now an archbishop, Pope Francis plans to make permanent changes in the Church in ways that cannot be undone by future popes. He responded to a reporter’s question, saying  “The pope goes slow because he wants to be sure that the changes have a deep impact. The slow pace is necessary to ensure the effectiveness of the changes. He knows there are those hoping that the next pope will turn everything back around. If you go slowly it's more difficult to turn things back… . You have to realize that he is aiming at reform that is irreversible”. For the informed Catholic, all these things are, of course, extremely disturbing. Yet, we must remember that we are not fighting flesh and blood. The current situation is desperate but it also brings into focus the lament of Paul VI on 29th June, 1972. 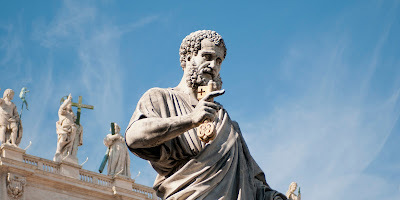 Celebrating the ninth anniversary of his pontificate in St Peter’s, Paul reflected to the situation of the Church at that time  , saying that he had a sense that “from some fissure the smoke of Satan has entered the temple of God. 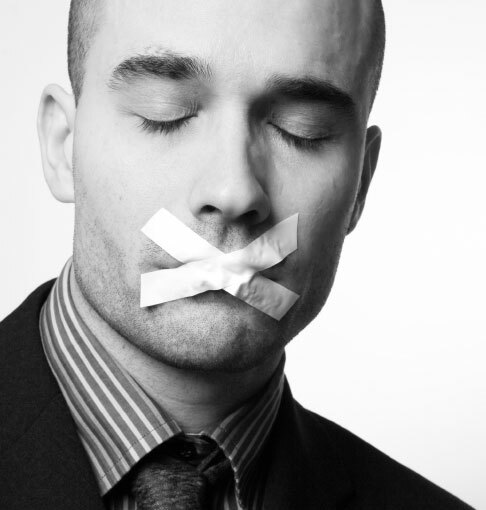 There is doubt, incertitude, problematic, disquiet, dissatisfaction, confrontation. There is no longer trust of the Church; they trust the first profane prophet who speaks in some journal or some social movement, and they run after him and ask him if he has the formula of true life. And we are not alert to the fact that we are already the owners and masters of the formula of true life. Doubt has entered our consciences, and it entered by windows that should have been open to the light. Science exists to give us truths that do not separate from God, but make us seek him all the more and celebrate him with greater intensity; instead, science gives us criticism and doubt. Scientists are those who more thoughtfully and more painfully exert their minds. But they end up teaching us: “I don’t know, we don’t know, we cannot know.” The school becomes the gymnasium of confusion and sometimes of absurd contradictions. Progress is celebrated, only so that it can then be demolished with revolutions that are more radical and more strange, so as to negate everything that has been achieved, and to come away as primitives after having so exalted the advances of the modern world. How has this come about? The Pope entrusts one of his thoughts to those who are present: that there has been an intervention of an adverse power. Its name is the devil, this mysterious being that the Letter of St. Peter also alludes to. So many times, furthermore, in the Gospel, on the lips of Christ himself, the mention of this enemy of men returns. The Holy Father observes, “We believe in something that is preternatural that has come into the world precisely to disturb, to suffocate the fruits of the Ecumenical Council, and to impede the Church from breaking into the hymn of joy at having renewed in fullness its awareness of itself. Precisely for this reason, we should wish to be able, ..., to exercise the function God assigned to Peter, to strengthen the Faith of the brothers. We should wish to communicate to you this charism of certitude that the Lord gives to him who represents him though unworthily on this earth.” Faith gives us certitude, security, when it is based upon the Word of God accepted and consented to with our very own reason and with our very own human spirit. Whoever believes with simplicity, with humility, sense that he is on the good road, that he has an interior testimony that strengthens him in the difficult conquest of the truth. 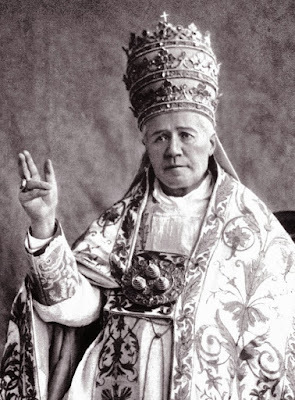 This apostasy seems to have been foreseen by Pope Saint Pius X, who, in 1910 wrote the French Hierarchy, in a letter entitled Our Apostolic Mandate, “... the great movement of apostasy being organized in every country for the establishment of a One-World Church which shall have neither dogmas, nor hierarchy, neither discipline for the mind, nor curb for the passions, and which, under the pretext of freedom and human dignity, would bring back to the world (if such a Church could overcome) the reign of legalized cunning and force, and the oppression of the weak, and of all those who toil and suffer ”. Although Our Lord promised that the gates of Hell would not prevail against His Church  , and that He would assist Her daily to the end of time  , He made no promise, however, that She would not undergo crises, dissensions, betrayals, scandals and apparent failures. On the contrary, Our Lord's parables about the Kingdom of God, which is His Church, clearly affirmed that good and bad alike would exist in Her bosom until the end of time. Only then will God send His angels to cleanse the earth of scandal  . The Church is the "House of God" whose cornerstone is Christ  . It is "the Holy City, the New Jerusalem" brought down from Heaven  . However, God permits temptations even inside this sacred place, as our first parents were tested in the Earthly Paradise  . In this way, our love is purged of all attachments to divine consolation and to human concerns. The Lord permits this time of trial that we might trust Him more even though the trial may also serve as punishment for our infidelities as was prophesied by the fifteenth century St. Nicholas of Flue “ The Church will be punished because the majority of her members, high and low, will become so perverted. The Church will sink deeper and deeper until she will at last seem to be extinguished, and the succession of Peter and the other Apostles to have expired. But, after this, she will be victoriously exalted in the sight of all doubters .”  The reason for our current trial is relatively unimportant. What is important is that in these times, as the roaring squall tosses Peter's Barque about and the Saviour sleeps, we should, with the Apostles, cry out: "Lord, save us for we perish!" Awakening, Jesus will reassure us as He did them: “Why are you fearful, O ye of little faith?” Then He will stand up and in an imposing voice order the storm to cease and the sea to be quiet. 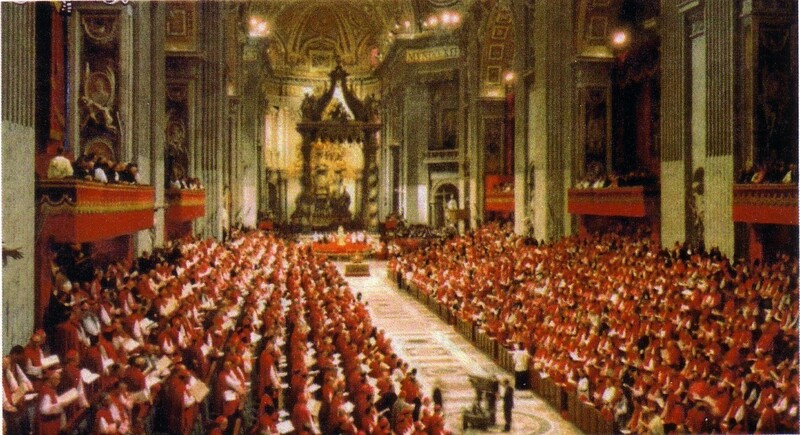 The Catholic Faith is always recognised by its adherence to what had once been delivered to it. 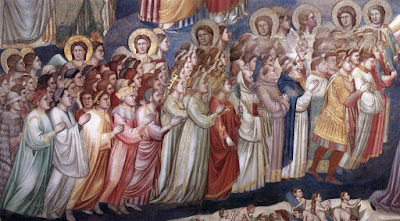 St. Athanasius, therefore, could say “ Even if Catholics faithful to Tradition are reduced to a handful, they are the ones who are the True Church of Jesus Christ.” Likewise for St. Peter Canisius “Better that only a few Catholics should be left, staunch and sincere in their religion, than that they should, remaining many, desire as it were, to be in collusion with the Church's enemies and in conformity with the open foes of our faith”, which Joseph Cardinal Ratzinger  once echoed “Better a smaller but more faithful Church”. 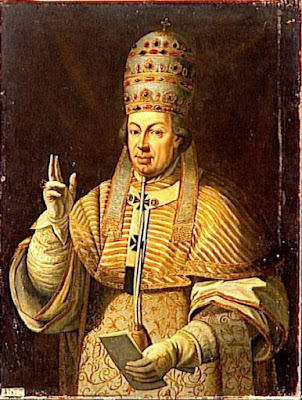 Papal infallibility  is among the most misunderstood of Catholic doctrines. Correctly understood, the pope is infallible, that is, preserved from teaching error when, and only when, certain specific conditions are met. These conditions are that the Pope must (1) intend to teach (2) the whole Church (3) by virtue of his supreme authority (4) on matters of faith or morals. However, should one or more of these conditions be lacking, his teaching, even though worthy of respect on account of his office, would not be infallible. If all conditions are met then his teaching act is called “infallible” and the teaching which he articulates is termed “irreformable”. St Peter has had some 265 successors who can be classed as good, fair, bad, nefarious or calamitous. Considering the spiritual nature of the papacy, it is important to remember that the quality of a pontificate is not judged solely by its historical, social or political impact but, rather, on whether or not, by word and deed, the pope damages the Faith of the Church, obscures aspects of the image of God or fails to uphold the true human dignity, which the Church has the obligation to defend, to transmit and to deepen. - Pope Liberius, who, in the 4th century, surrendered to strong Arian pressure. He accepted an ambiguous position regarding this heresy, which left Saint Athanasius and other defenders of the Trinitarian dogma in the lurch. He is the first non-canonized Pope. - Pope Anastasius II, in the 5th century, flirted with the defenders of the Acacian schism. - Pope John XXII, in the 14th century, taught that the vision of the God by the just does not occur before the Last Judgment. - The popes of the "Great Western Schism", in the 14th-15th centuries excommunicated each other. - Pope Leo X, in the 16th century, brought disrepute to the papacy not only by his luxurious lifestyle but, also, by his scandalous trafficking in indulgences. 1. Keep calm and pray . Our Lord is in the boat! Nothing is solved by despondency, anger or hysteria. The battle is the Lord’s. The survival and stability of the Church does not depend on us but, rather on the One who established Her for our salvation. In moments of distress, it is necessary to pray, pray and pray, so that the Master will awake to calm the storm. It is necessary that we be truly convinced that the Church is supported by a God who loves Her, and who will not allow Her to be destroyed. Let us pray, therefore, for the reformation of our clergy and hierarchy so that the present calamitous times may be shortened and be followed by a pontificate of restoration and peace. Many dry branches will be lost during the current storm but, those remaining united to Christ will bloom again. Remember to pray the Rosary! “ But watch at all times, praying that you may have strength to escape all these things that will take place, and to stand before the Son of man”  “Watch & pray that you fall not into temptation”  . 2. Study and be informed . We must know our Faith! a. Do not give in to apocalyptic warnings. History has recorded that turbulent times are often regarded as signs of the end times. We should, however, live each day as our last day so that we will be prepared for death. The end times will come at the appointed time of which we know neither the day nor the hour. God will provide the necessary graces for that day  . We should prepare ourselves for martyrdom. In the Nobis quoque of the Roman Canon we pray: To us, also, your servants, who, though sinners, hope in your abundant mercies, graciously grant some share and fellowship with your holy Apostles and Martyrs: with John the Baptist, Stephen, Matthias, Barnabas... and all your Saints; admit us, we beseech you, into their company, not weighing our merits, but granting us your pardon, through Christ our Lord. Clearly, this is at odds with Our Lord’s declaration, "I am the way, and the truth, and the life. No man cometh to the Father, but by me" (John 14:6). 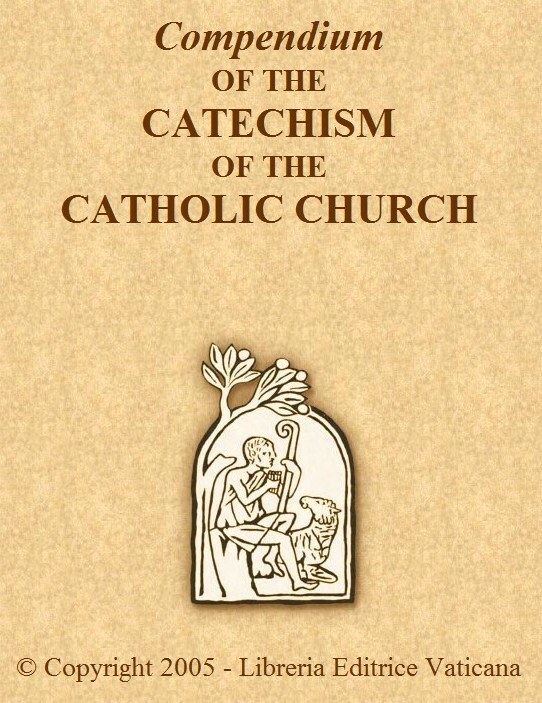 It is also at odds with what is taught in the Catechism of the Catholic Church: "Basing itself on Scripture and Tradition, the Council teaches that the Church, a pilgrim now on earth, is necessary for salvation: the one Christ is the mediator and the way of salvation; he is present to us in his body which is the Church. He himself explicitly asserted the necessity of faith and Baptism, and thereby affirmed at the same time the necessity of the Church which men enter through Baptism as through a door. Hence they could not be saved who, knowing that the Catholic Church was founded as necessary by God through Christ, would refuse either to enter it or to remain in it" (§846). This is completely at odds with St. Paul, who said, "And if Christ be not risen again, your faith is vain, for you are yet in your sins" (1 Corinthians 15:17). This is refuted by the fact that the dogmas of the Faith are revealed by God, and God cannot contradict Himself. Hence, abortion is not classified as murder. Both Father Thomas Crean's talk on 'Amoris Laetitia,' a while back, and Father Linus Clovis's recent talk on 'Francis: A Pope for our times' have encouraged and uplifted me tremendously. I realize that, unwittingly, I was one of those who bordered on 'Papolatry:' I was terrified of discovering that a reigning pontiff could be imprudent or worse still, wrong in anything he had written; and I felt sure that it was sinful to criticize the Pope (in particular). Although I knew that the Pope is infallible when speaking 'ex cathedra' on matters of faith and morals, I did not understand specifically what that meant. Thank you Family Life International, for inviting such faithful and eloquent speakers to your conferences and for placing their talks on the internet! I cannot thank Fathers Crean and Clovis enough for standing up and speaking so clearly; with faith, courage, wisdom and, above all, love of the Church and her Supreme Pontiff. I now feel that I am able to speak the Truth to all people, no matter what their status or rank within the Church; and I know that, when I speak the truth with respect and kindness, it is Love Himself who speaks through me; and therefore, I must not be afraid. I am particularly grateful for the suggestions on how to survive and remain Catholic in these times. God bless you all for your Catholic faith and your courage to speak in its defence!